New clothes, shoes, bags and free gadgets. These are just few of our favorite things written on a Christmas wish list. I brought my Vivo V7 Smartphone during my recent trip in Singapore last weekend. Since I was traveling with my mother-in-law who's not familiar with smartphones, I took more selfies than the usual. The good thing is that the Vivo V7 smartphone works well in capturing photos using its 24MP front camera. However, there are times I asked mama to take my photos using the rear camera. You will see that most of them are clear and vibrant. 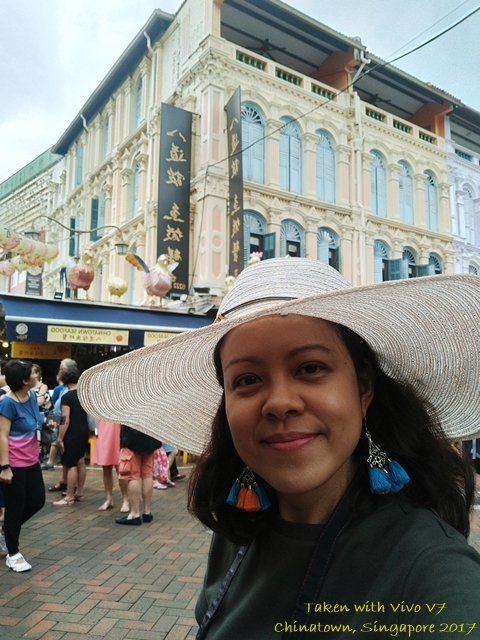 You may check my feeds and see some of my best travel photos in Singapore. Robinsons Malls is one of my favorite shopping malls in the country. The products are not only fashionable but also affordable. You'll be surprise to find out some items on sale during holidays. Here's a great news to Robinsons Malls and Vivo fans. Vivo in partnership with Robinsons Malls will be giving away 200 Vivo phones just in time for the holidays. However, Vivo 200 phone giveaway is exclusive to shoppers of select Robinsons. 2. The raffle draw of the 200 winners will be held on January 16, 2018. 3. For every 2,000 worth of single receipt purchase, shoppers may redeem a raffle coupon for a chance to bag one of the 20 Vivo all screen phone. 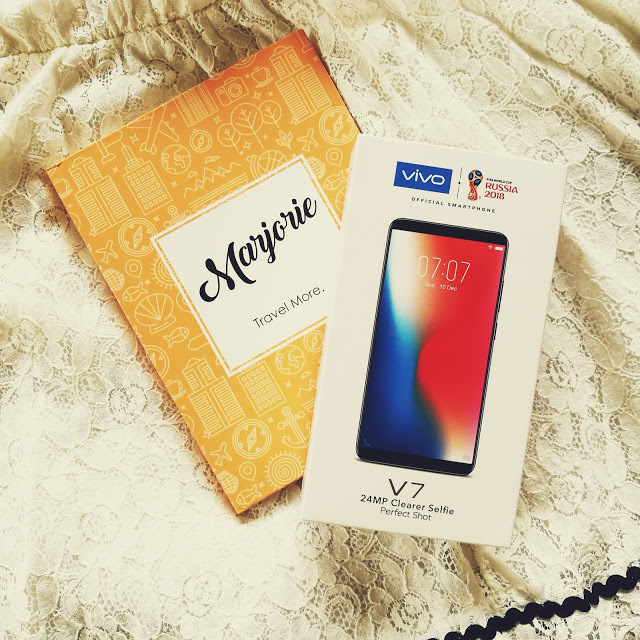 In connection to the 200 Vivo phones Holiday Promo, Vivo, which climbed up the 5th spot in the leading smartphone brands in the global arena and which places as one of the top three phone brands in the Philippines, has recently signed a partnership with big-ticket mall operator Robinsons Malls to give joy to Filipinos this Christmas season. Vivo has quickly expanded into markets in South East Asia and is currently present in Bangladesh, Cambodia, India, Indonesia, Laos, Malaysia, Myanmar, Pakistan, Philippines, Thailand and Vietnam. To date there are about 200 million Vivo users all over the world. 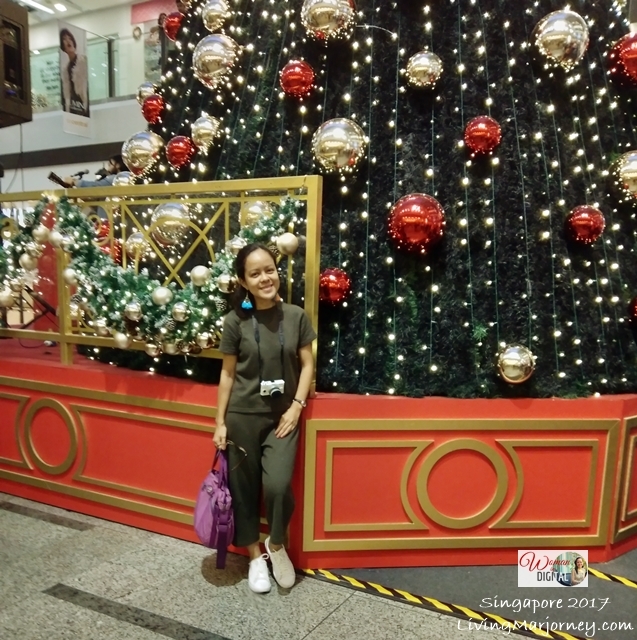 Shop at Robinsons Malls this holiday season for a chance to win a Vivo phone this Christmas.